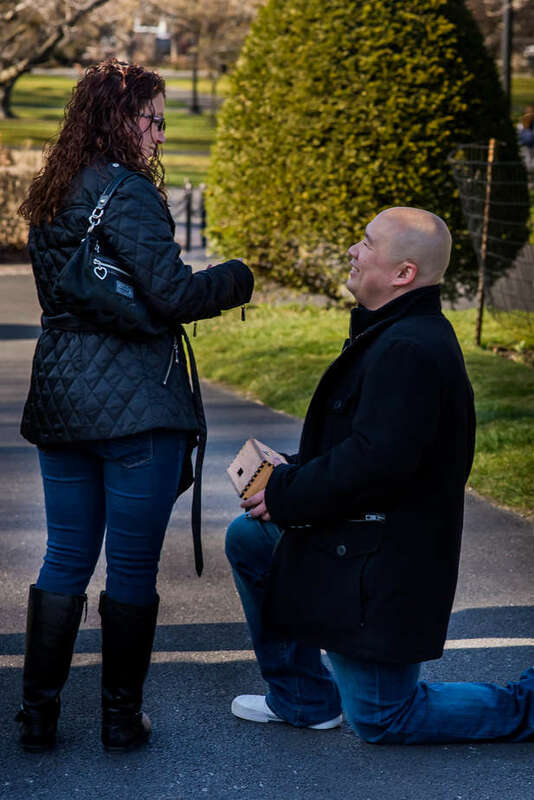 When Brian asked me to help him propose to Danielle for his Boston Public Garden proposal, nearly every facet of my adult life overlapped, and it makes me so happy to think of them. Brian and I attended Bentley together. He was always the cool upperclassman. We ended up working at Deloitte together, and again – he was the confident and intelligent guy that had a zillion friends surrounding him. He was modest and extremely approachable. When Jason (then boyfriend, current fiancé! ), and I opened up Trapology, Brian and Danielle played the Drunk Tank and he was a constant source of support and inspiration. He provided everything from game theme ideas to puzzle suggestions. The guy was a machine, and I was so thankful to him for it. 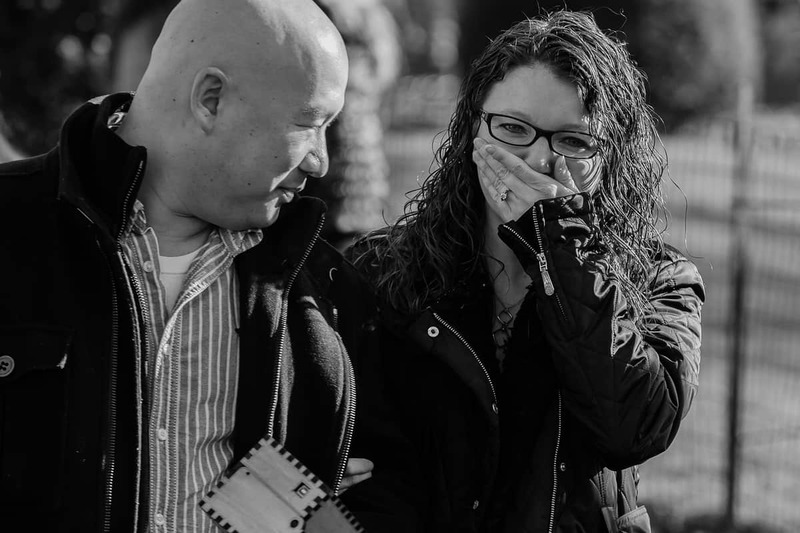 When he asked me to find a way to help him propose to his girlfriend, Danielle, I leapt at the chance! Brian and Danielle played our second escape game.- the Hustler, with their friends. (An escape game is an gaming experience where you are locked in a physical room. You and your team must find clues and solve puzzles. Your goal? Escape in 60 minutes! Shameless plug: COME PLAY AT TRAPOLOGY! 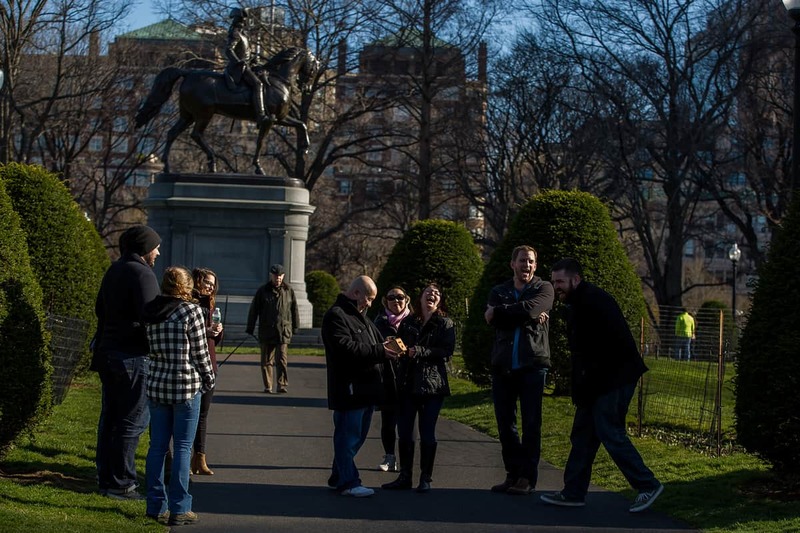 Trapology Boston is directly across the street from the Boston Common and Brian’s selected spot for his Boston Public Garden proposal). Danielle thought that she and her friends were beta testing a room for us. Some of her friends playing at Trapology knew about the proposal. Some didn’t. The final room revealed a wooden box with a monitor on it. When Danielle pressed the button on the box, the small monitor read, “1,500 feet”. When she moved a couple feet, the monitor’s numbers would change. 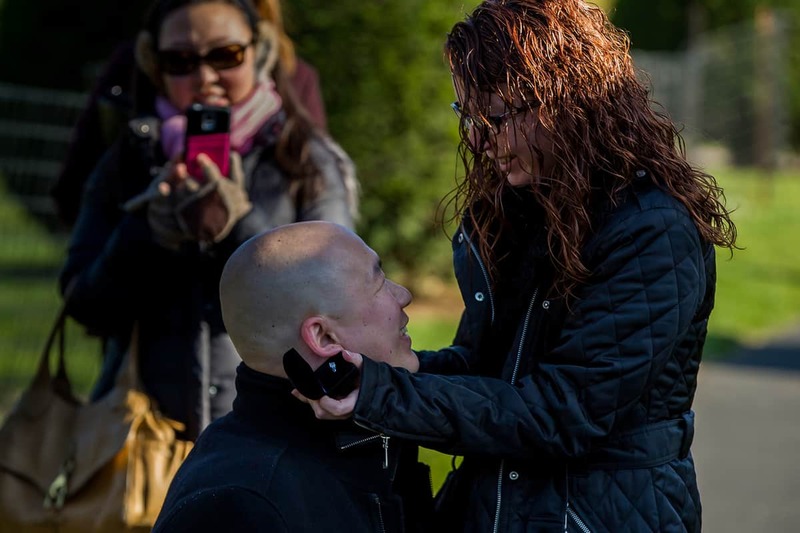 The mysterious box led her and her team outside, through the Boston Common and into a certain spot for his Boston Public Garden proposal. At last, it read 4 feet…. 2 feet… and then BUZZ – the box opened to reveal a ring box. Danielle found Brian on one knee, asking her to marry him.